SOS Children's Villages in Plagiari is situated around 20 kilometres south-east of Thessaloniki. Plagiari is a small town, while the nearby Thessaloniki is the second largest city in Greece. The area has traditionally been an important industrial, commercial and political centre. However, the recent economic hardships have also affected this area of Greece. 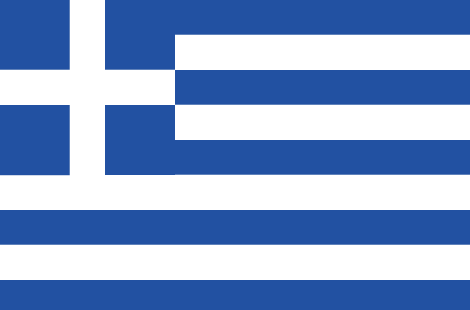 Greece has been a country in crisis since its credit rating was downgraded in late 2009. In order to receive the rescue package that Greece urgently needs so that debt repayments can be made on time, the government has been introducing increasingly tough austerity measures, including pay cuts, fuel price increases, and tax rises. These measures have been met with protests by the unions and the general population; as austerity measures have become increasingly stringent, protests have become increasingly violent. Life has become a struggle for many families in Greece. VAT is now 23 per cent, while the minimum wage has been cut by 22 per cent. This means that it is becoming increasingly difficult for people on the lowest rungs of the socio-economic ladder to get by, especially when they have many children. While previously the reasons why children came to live in an SOS Children’s Village was often alcoholism, drug abuse or illness in the family, today many parents simply cannot afford to care for their children. The increased and continuing uncertainty of the Greek economy has also led to shrinking employment opportunities and industrial production, leading to sky-rocketing unemployment rates, which reached 20.9 per cent in November 2011. Young people are most severely affected: almost 50 per cent of all 15-24-year-olds are now unemployed. 2012 data shows that up to 20 percent of the Greek population is now at-risk of falling into poverty. This affects over 860,000 households in total. Single parents, especially when unemployed, are particularly vulnerable. SOS Children’s Villages has felt the effects of these events very strongly, not least because as of 2011 charities also have to pay high taxes in Greece. And there are more and more desperate parents turning to SOS Children’s Villages as an absolute last resort, having exhausted their own family support network – an increasing number of them from the middle classes. In fact, the number of requests made to us increased by 64.5 per cent in 2011. We have been providing financial as well as emotional support to these families. SOS Children’s Villages has been active in Plagiari since 1997. If children can no longer live with their families, they can find a loving home in one of the nine SOS families, where they can be looked after by the SOS mothers. Young people who are ready to leave their SOS families, can move into special flats in Thessaloniki while they attend further education or receive training. With the support of qualified youth workers, the young people develop perspectives for their future, learn to shoulder responsibility and increasingly make their own decisions. SOS Children's Villages aims to strengthen local families by offering access to essential education, nutritional and health services. Working together with local authorities and other agencies, we support families who are at risk of abandoning their children.